You want to live healthy and think healthy, don’t you? 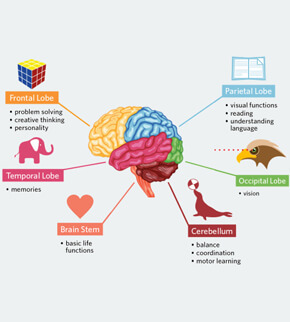 The process of aging has a deteriorating effect on the healthy working of your brain. Other factors, like stress and malnutrition can be the cause of various mental illnesses, like anxiety, depression and dementia. Regular exercise, healthy diet and use of brain supplements can not only save you from mental decline but also improve your memory, mood and the mental productivity. 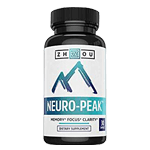 Such strong nootropics or natural supplements are also available in the market which can boost creativity, alertness, motivation as well as general cognitive ability. That is why the use of nootropics is rising meteorically. At the same time, hundreds of different brands of brain supplements have emerged and the majority of them are not worth your money. So, before selecting a suitable nootropics product for yourself, you need to conduct an exhaustive research. You should always go for the best brain supplements which have clinical evidence of effectiveness. Doing analysis of the nutrition label for the overall potency, synergy among ingredients, sufficient quantity of different constituents and the overall potency can be very helpful. Here is the list of top 10 best brain supplements 2019 compiled after exhaustive research and taking into account all the technical, medical and practical aspects. Going through the authentic best brain supplements reviews, you will not only learn about their effectiveness and the mechanism of working but also find out the possible side effects of each product. There is also information about the usage of the brain supplement. Such information will be especially helpful for the individuals suffering from some sort of brain or neurological disorder. At the same time, you are warned against the use of any product on your own as self-medication. Prior to taking any of these brain supplements, you must consult your healthcare provider also because they (supplements) may interact with other medications you are taking to produce harmful effects. 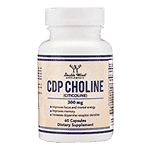 As an active and potent source of choline, the CDP choline raises the choline levels in the body. Studies have shown supplementation with CDP choline boosts memory, increases mental energy and helps maintain focus. At the same time, it may also increase dopamine receptor densities. As a memory enhancing agent, it helps you retain more of what you have learnt and recall the same with greater ease. Taking one or two capsules a day, with food, is enough to support the cholinergic brain function and enhance your cognitive ability. Citicoline is known to have some side effects including headache, diarrhea, pain in the chest region and high or low blood pressure. Important Note: You should start taking CDP Choline as a food supplement on the prescription of a registered medical practitioner only. Do not take more than four capsules a day. Use of this product is not recommended in pregnancy or with other medications. If any adverse effects occur, discontinue the use of CDP choline and consult your healthcare provider. A classical Asian herb, Ginseng is known to have amazing brain boosting properties. American ginseng belongs to the same genus as the Asian ginseng but botanists categorize it as a unique species. Latest research on Panax quinquefolius (American ginseng) indicates that it is the ‘best in class’ brain booster. 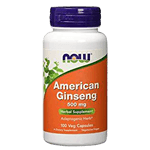 American ginseng is available in the market under different brand names, like ‘Now American Ginseng” and the “Tuff Bear American Wisconsin Ginseng Capsules”. Made from the ginseng extract, these are grouped among the best brain supplements 2019. 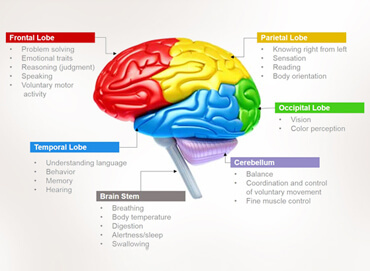 Clinical studies support the effectiveness of these products as a cognitive enhancer. After ingesting the ginseng capsules, the participants were asked to undergo an aptitude test and they performed significantly well. As the clinical evidence suggests, you will feel improvement in memory, mental clarity and sharpness just a few hours after ingesting a single dose. But how does the American ginseng supplement perform its neuroprotective function? It does so by increasing the acetylcholine levels in the body. Here you should also note that, acting as an adaptogen, it not only reduces stress and increases mental energy but also promotes physical strength. Regarding American ginseng dosage, you should consult your healthcare provider. They may suggest you a suitable dosage ranging from 100mg to 500mg or a bit more. You can take it as a herbal dietary supplement. The intake of American ginseng is likely to cause some side effects in the individuals, including headache, itching, diarrhea, nervousness and sleeplessness. The use of American ginseng is not recommended in pregnancy, breastfeeding and hormone-sensitive cancerous disease. It is because the ginsenosides in ginseng can act as estrogen hormone. Do you know bacopa is one of the few herbs that have adaptogenic properties? Adaptogens are medicinal substances that act to normalize and regulate the body systems. Without being either stimulating or sedating, the adaptogens can increase energy and relieve mental stress. At the same time, they can also act as a thermostat to keep you in an emotional comfort zone. As a dietary supplement, the typical dose of bacopa should be between 50mg to 100mg. However, before starting the use of bacopa, you must consult your healthcare provider. Concerning the bacopa side effects, it is considered very safe even for children. The rare side effects include digestive upset and dry mouth. However, you should avoid its use with the medications like antidepressants, antihistamines and drugs taken for Alzheimer’s disease. 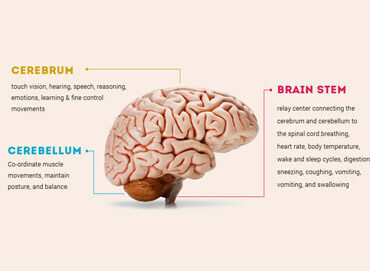 A synthetic form of choline, the Alpha GPC is one of the top memory enhancing brain supplements. Neurobiologists consider choline as a nutrient essential for the development of brain, production of healthy brain cells and formation of neurotransmitters. It acts as a precursor for acetylecholine which is a brain chemical for memory and learning. Research suggests that choline supplements do not enter the brain effectively. 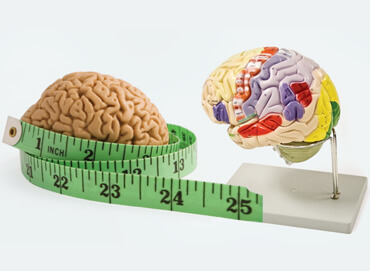 Under such disappointing circumstances, the alpha GPC form of choline comes to the rescue of the individuals who want to enhance their memory and improve the brain function through the best brain supplements 2019. The alpha GPC form of choline acts to move choline into the brain quite quickly and efficiently. Here in the brain, the job of choline is to form cell membranes of brain cells as well as trigger the growth of new brain cells. 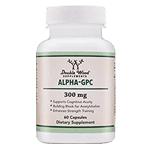 The effects of alpha GPC, one of the top 10 best brain supplements 2019, include an increase in the levels of the neurotransmitters like serotonin, dopamine and GABA or gamma-aminobutyric acid. Here the GABA neurotransmitter is associated with relaxation. As for as the Alpha GPC dosage is concerned, it is yet to be determined. However, doctors recommend its doze between the range of 300 and 600 mg. Though the use of Alpha GPC is generally considered safe, some individuals may experience side effects like headache, skin rash, heartburn, dizziness and mental confusion. At the same time, it may trigger allergic reactions in individuals who have food allergy. It is because the Alpha GPC supplements are derived from either eggs or soy, which are two of the most common food allergens. A proven energy booster, tryptophan is one of the essential amino acids which serves as a precursor to serotonin. Serotonin, on the other hand, has got a major role to play in boosting mood, enhancing learning, improving sleep and controlling appetite. A decrease in the level of serotonin in the body is regarded as the major cause of depression in people. The intake of tryptophan means you are providing the body with building blocks for the synthesis of serotonin. Individuals facing various brain-related or mental health issues will find tryptophan particularly useful because it can improve the quality of their life. 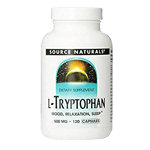 Headache, loss of appetite, digestive upset and drowsiness are some of the side effects of tryptophan. Meanwhile, you should not take it with SSRI antidepressants because it may lead to the potentially serious condition, called serotonin syndrome. 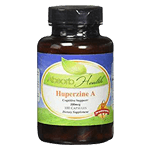 Derived from the Chinese club moss Huperzia serrata, Huperzine A is a powerful natural tonic for the improvement of memory and delaying the symptoms of Alzheimer’s. Huperzine A is the main active compound in Chinese club moss, a small plant naturally occurring in certain parts of Asia. The mechanism of the working of Huperzine A involves an increase in the level of acetylcholine in the body. Acetylcholine is a neurotransmitter in your body that regulates sleep cycle, enhances memory, improves learning and controls different other brain functions. In addition to promoting the generation of new brain cells, the Huperzine A brain supplement protects your brain against damage from free radicals and the environmental toxins. In China, Huperzine A enjoys the status of an approved drug for the treatment of Alzheimer’s and vascular dementia. The generally recommended dose of Huperzine A varies from 50 to 200 mcg (micrograms) two times a day. You can also take it on an empty stomach. Absorb Health Huperzine A is trusted as one of the best brain supplements 2019 with the great potential to enhance cognition and support the process of neurogenesis. However, some users complain about its slow action mechanism. The side effects of this naturally occurring brain supplement include diarrhea, nausea, muscle twitching, restlessness, slowed heart rate, high blood pressure and blurred vision. The popular Indian spice turmeric (Haldi) contains curcumin as the main bioactive compound. Curcumin is responsible for rendering brilliant gold color to turmeric and majority of the health benefits that the spice carries. During a study, when healthy seniors were given a dose of curcumin brain supplement, they reported a remarkable improvement in both the memory and attention! The research subjects also reported significant enhancement in working memory, mood and energy after around thirty days of medication. Owing to its anti-inflammatory and antioxidant properties the University of Maryland Medical Center recommends 400 to 600 mg dose of standardized curcumin powder three times a day. 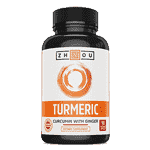 However, you can use both the curcumin and turmeric brain supplements to get the required dose of this naturally occurring bioactive compound. Zhou Turmeric Brain Supplement offers a carefully crafted formula for a healthy and active lifestyle. In addition to ensuring brain health, it also aids in heart health and the overall cellular health of your body. Talking about the side effects of curcumin, if you consume turmeric as a spice in food, it will be very safe. However, the turmeric brain supplements may cause the side effects of nausea and diarrhea. What are the signs and symptoms of magnesium deficiency? Insomnia, inability to handle stress, lack of focus and brain fog are some of the diagnostic signs of magnesium deficiency in the body. Owing to its unique ability to permeate the brain cell membranes, magnesium threonate supplement can easily raise the concentrations of magnesium in the brain. Therefore, it becomes an excellent tonic for improving attention and memory, and relieving anxiety and depression. 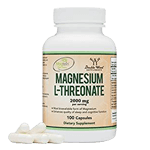 The generally recommended dose of magnesium L-threonate is 320 mg for women and 420 mg for men. However, depending on your age, your healthcare provider may increase or decrease the dosage. Meanwhile, it is to be noted that the amount of elemental magnesium in 2,000 mg of Magtein supplement is just around 144 mg. If you choose a superior quality bioactive form of magnesium brain supplement, it is unlikely to cause any serious side effects. On the other hand, too much dosage or inexpensive from like sulfate or oxide may cause loose stools and digestive upsets. Regarding its role in brain structure and functioning, DHA serves as the major building block for cerebral cortex. 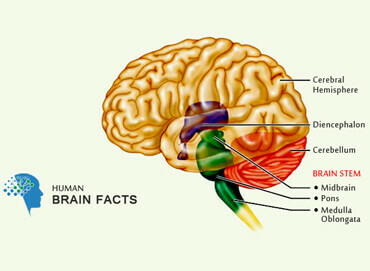 The cerebral cortex, on the other hand, is the center for high level brain functioning. Meanwhile, the neurobiological researchers have also discovered its role in brain cell communication. With low levels of DHA, the individuals are likely to suffer from depression and other serious psychiatric disorders. There may also be a measurable decrease in their brain volume. On the other hand, the DHA supplementation is very helpful in preventing memory loss and treating the conditions like Alzheimer’s disease, dementia, depression, mood swings and lack of attention. The generally recommended dosage of DHA may be up to 1,000 mg. However, you should consult your healthcare provider prior to using this supplement. 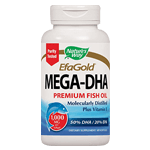 Concerning the side effects of DHA, it is considered usually safe. 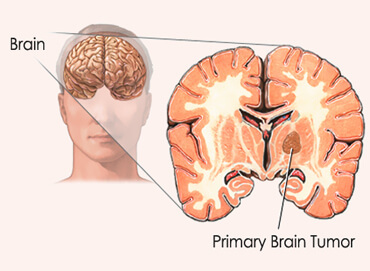 Your brain contains high concentrations of phosphatidylserine which is generally known as a versatile brain enhancer. You can abbreviate it as PS. It is also a popular brain supplement. 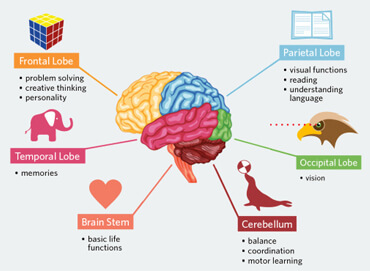 As one of the best brain supplements 2019, it can not only boost your memory but also improve learning, cognition and concentration. 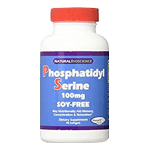 The human brain cell membranes contain phosphatidylserine as a major component. In addition to maintaining the brain cell membrane integrity, this brain supplement helps to keep the unwanted invaders, like toxins and pathogens, out of your brain. Meanwhile, PS also plays a role in relieving stress by normalizing the levels of cortisol, a stress hormone. Researchers have found that children suffering from ADHD (Attention Deficit Hyperactivity Disorder) show significant improvement by the use of phosphatidylserine. As far as the dosage is concerned, your healthcare provider may prescribe 100 mg of PS supplement three times a day. The dose may be increased. But, in that case, you may experience the symptoms of insomnia and digestive upset.